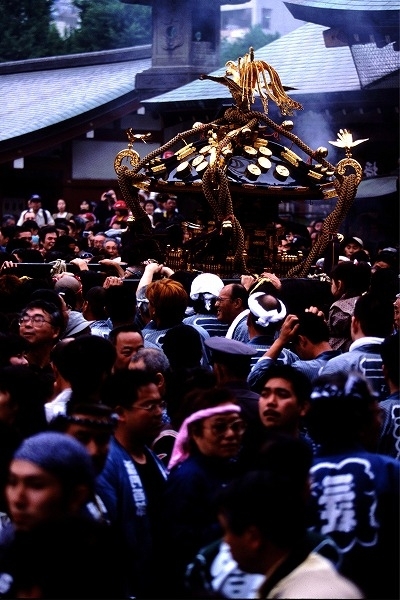 【三社祭りいよいよ来月！！】サクラホテル神保町から20分で行ける浅草の祭り！！the Great Festivals of Tokyo. My name is A.NUKUI, a trainee of Sakura hotel JIMBOCHO. It took already 3 month to work for Sakura Hotel&Cafe. There are still many things to learn, but I will work with fun! I hope I can support to make your wonderful memories in Japan. Let me introduce a big festival called SANJYA MATSURI in tokyo next month. Location is Asakusa Shrine at Asakusa, it is just 15 minuits from Jimbocho. I just took place a wedding 3days ago. This is very beautiful shrine, so please visit ASAKUSA Shrine! Today, I am going to tell you about the immigration office which is located in Shinagawa! By the way, Shinagawa Station is really really big !! This is the information board located near the entrance ! The information center is located next to the entrance, so if you have any questions, you should go there before heading to somewhere else. There are no restaurants around the immigration office, in case when you are feeling hungry, but you yet have to stay there to finish your errands, there is a Family Mart on the first floor ! by the way, you can get the stamps for documents here as well! Well, lest proceed to the second floor ! What is your favorite things? Where would you like to go in the future? 【ゲスト紹介】今日のサクラホテル神保町のゲストはインドネシアから！ショッピングを楽しんだ模様！-Sakura hotel Jimbocho guests ! They are from Indonesia;)They bought Japanese popular souvenirs!-International hotel in Tokyo! Today I will write about Our guests from Sakura Hotel Jimbohco! I asked them how was your day? Look what they got ! I think this is the most famous Souvenirs of Tokyo! Have you tried it before??? I ate this before it was sooooooo good! I thought i could eat this forever! You can get this at Tokyo central station. second hand and old books! People who loves books you can find awesome books around here! 【千代田区花見スポット】お花見はこれから！？雨でも花見出来るカフェ！in神保町　- Tokyo Hotel - Today's guests of Sakura Hotel Jimbocho are musician!! They are poster girl and boy of Sakura Hotel Jimbocho!! We have spring special drinks at Sakura Cafe Jimbocho!! And, special guest from France!! We are playing his CD at Sakura Cafe Jimbocho!! Check that!! It is me, Yujiro from Tokyo! Now I am talking with the guest from UK while we are drinking Coke. Do you know how power the coke has? No border between us through Coca Cola. Today I will write about guests from Sakura Hotel Jimbocho! Today both of the guests are family! I wish i had like these many sisters! They are here so long ! Hope to enjoy Japan well!! They gave us a special gift!! You can massage your head with this!!! First it feels weird！　but I really like it! Toady we got a new face! Nukui-san! She will write her introduction later !Please check it ! Today I will write about Enoshima where you can see beautiful ocean! It takes 1 hour and 30 mins by train from Sakura Hotel Jimbocho! You can see the shrine called "Enoshima-Jinjya! And ! You can enjoy delicious foods especially seafoods! This store is for rice crackers. You can get a Japanese steamed bun　here! Sorry for dont have any pictures of it. You can enjoy everything here at ENOSHIMA! You can see sun set with Mount Fuji too! If you would like to see it please ask me! Today was rainy day.I hope to see the blue sky! Japanese festival people are always looking forward booths of foods! I really love KASUTERA！I always get those when i go there! There are not only foods for the festival! There are some games too! This picture is for pitching game!! You throw balls and hit the prize then you can get it! In Japan you can see like this festival especially in Summer ! This season there are so many festival for Cherry blossom! I think guests from Sakura hotel Jimbocho are so lucky to see this festival!! If you know any other festivals please let me know!! There are 14 different nationalities of guests staying with us Today! A cute couple is staying with us right now ! How Sweet ! 2 Good friends are staying with us ! what a privilege ! Thank you for choosing Sakura Hotel Jimbocho! Another handsome guys here at Sakura Hotel Jimbocho ! he is from New Zealand !